Karen Sherman, the principal of ShermanLaw, has experience in all aspects of affordable housing and community facility development for underserved communities and in areas of special concern to not-for-profits, including issues arising in daily operation and management. She has specialized knowledge of government housing programs, finance, taxation, real estate law, and not-for-profit law. Her legal counseling and representation draw on her background as transactional attorney for diverse private developers and community-based organizations, as a tax attorney, litigator, legislative lobbyist and legal educator. Her record of successful representation and counseling for numerous New York and national organizations and her unique reputation for dedication to her clients has made ShermanLaw a leader in advising and representing the community development industry in corporate, real estate, tax and finance matters for over twenty years. Counseling community developers on complex and multi-layered legal aspects of corporate and financial opportunities and strategies. Obtaining tax credits, tax exempt bonds and mixed financing for affordable housing developers. Negotiating joint venture agreements between for profit and not-for-profit developers. Closing HUD 202 financing, with tax credits and City loans. Counseling clients and closing new market finance to rebuild retail corridors and develop social service facilities. Representing clients in establishing limited equity cooperatives and MHAs. Representing tax credit investors investing in low income affordable housing. Assisting social enterprise and thrift shop entities affiliated with not for profits at all stages of the organization, from start up, through development and legal issues arising from general operations and growth. Chair (2004-05) and Governing Committee Member, American Bar Association Forum (ABA) on Affordable Housing and Community Development Law, 1998-2006. 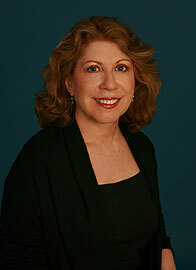 Member of the Board of the Directors, Women in Housing and Finance, 1998-2002. Member, Real Estate Committee, Association of the Bar of the City of New York, 1999-2001. Member, NY State Bar Association, Real Property Commercial Leasing Subcommittee, 1998 to present. Chair, Association of Bar City of NY, Housing & Urban Development Committee, 1995-1998. Co-Chair, Opportunities for Community Economic Development Using New and Traditional Tools program, sponsored by ABA Forum on Affordable Housing and Community Development and Business Law and State and Local Government Section, 2004. Co-Chair, Affordable Housing and Community Development Conference, sponsored by ABA, Bar Association of the City of New York and State of New York Bar Association, 1998 and 2000. Moderator, “Remixing Financing Sources: How to restructure, retime and use alternative financing sources in today’s market,” New York State Association for Affordable Housing (NYSAFAH) annual conference, 2010. Moderator/Panelist, “Affordable Housing Development Mixed-Financing, Tax Credits, Bonds, Joint Ventures,” Lorman Institute, 2008 and 2010. Panelist, “Tax Credits Year 15, How to Position for Exit of Investor,” sponsored by Enterprise and Supportive Housing Network, 2008-2009. Panelist, “Refinancing HUD 202 Housing for Senior Citizens”, sponsored NYSAFAH, 2004. Lecturer, “Tax Issues for Eastern European NGOs”, Eastern European NGO Conference, sponsored by Ford Foundation and others, Warsaw, Poland, 2000. Panelist, “Navigating the Closing Process for Housing Trust Fund Awards/Low Income Housing Tax Credits”, sponsored by New York State Division of Housing and Community Renewal, 1998. Panelist, “Economic Development Loan Funds”, sponsored by American University, Washington Law School, 1998. Panelist, “Facts on Financing and Managing a Successful Business”, sponsored by Fleet Bank, 1998. Panelist United Nations Habitat II Conference on Economic Development, Istanbul, Turkey, 1996. Adjunct Associate Professor at Benjamin N. Cardozo School of Law, Affordable Housing Development Clinic, 1988-1989. Clinical Faculty Member, Clinical Faculty Member, Antioch School of Law, District of Columbia, director, child neglect clinic, and creator of native American based paralegal curriculum, 1977-1978. NY Not-for-Profits: Charitable Compliance and Tax Exemption Requirements, 1997 (editor). Challenging Real Property Tax Assessments in New York City, 1996 (editor). Creating Low Income Housing: HDFC Purchase of City-Owned Buildings, CDLAC, co-author, 1991. Mutual Housing Associations, CDLAC, 1993 (co-author).